Instead of wasting your time worrying about your college experience, it is important that you take control of the situation. Why not write a list of everything that is troubling you? Then, you can work through each point and find a suitable solution. This will help you to move past your nerves and to focus your attention on getting excited. If you are struggling with this process, just remember to think creatively. One of the best ways for you to do this is by thinking about how technology could be of use. 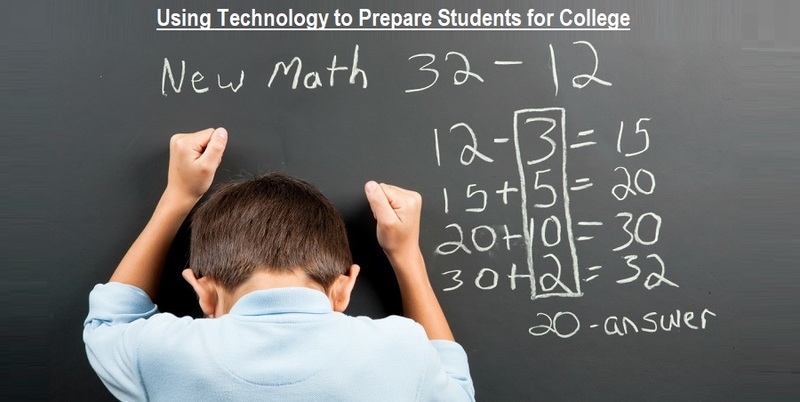 Below are Top 5 Ways That Technology Can Help Students to Prepare for College Life Success. If you are not yet sure of the course that you would like to complete, you should consider using technology to your advantage. Looking online will help you to find a school and a qualification that you are truly interested in. Before you make any important decisions, why not research USA scholarships and find out what you need to do in order to qualify? Technology will also come in handy when you are preparing your application. Firstly, you can look up example essays to provide you with inspiration. Then, you should use spellcheck and grammar guides to avoid any embarrassing errors. Finally, you could send your application to trusted friends and family members via email. This is the perfect opportunity for you to receive helpful feedback and uplifting praise. If you are still concerned about making the move to college, it is important that you find friends beforehand. This is a great way for you embrace the positive aspects of starting your educational journey. Instead of sharing too many details via social media, you should look out for online forums specifically designed to connect students. You should also find out if your chosen university is holding any open days. Then, you can make the effort to travel in and establish some connections. Another idea is to use friendship apps once you’ve arrived on campus. Next, you should consider finding an online course that is relevant to your chosen degree. This is a great way for you to pique your interest in everything that you are going to learn at college. It will also help you to make the most of your summer break and give you plenty to talk about with your peers and professors. Last but not least, you should use technology to find out about the location of your college. This is especially important if you are moving far away from your hometown. Why not go online to complete a virtual tour of your campus? You could also read blogs that discuss the experience of living in your chosen area. Another idea is to update your smartphone with apps that help you to locate fun activities, good value restaurants, and beautiful outdoor spaces. Or, if you struggle with directions, you could download apps that assist you in planning your journeys.